For the past few years, the United States had made an unmistakeable shift in foreign policy attention to the Asia-Pacific region (President Obama has described this change as a “pivot,” though the U.S. government is not necessarily comfortable with that term of art). There are both military and civilian dimensions to this shift, and the U.S. will need to deftly combine development, diplomacy and defense in order to maintain a sustainable and beneficent influence in the region. Recently, the spotlight has been on the military side of the pivot, though the rationale for Pentagon engagement goes beyond traditional military objectives. On Friday, the Washington Post ran an interesting article regarding U.S. plans to re-establish a presence as temporary “guests” on some old Southeast Asian military bases in Thailand, Vietnam and the Philippines. According to the article, the Department of Defense wishes to establish a regional disaster-relief hub at U-Tapao Royal Thai Navy Airfield in Thailand, and seeks accommodations at the Cam Ranh Bay naval and air base in Vietnam, and the Subic Bay Naval Base and Clark Air Force Base in the Philippines. The reasons for this renewed interest in old military installations, and the reasons for the broader “Pacific pivot” phenomenon are varied and complex. 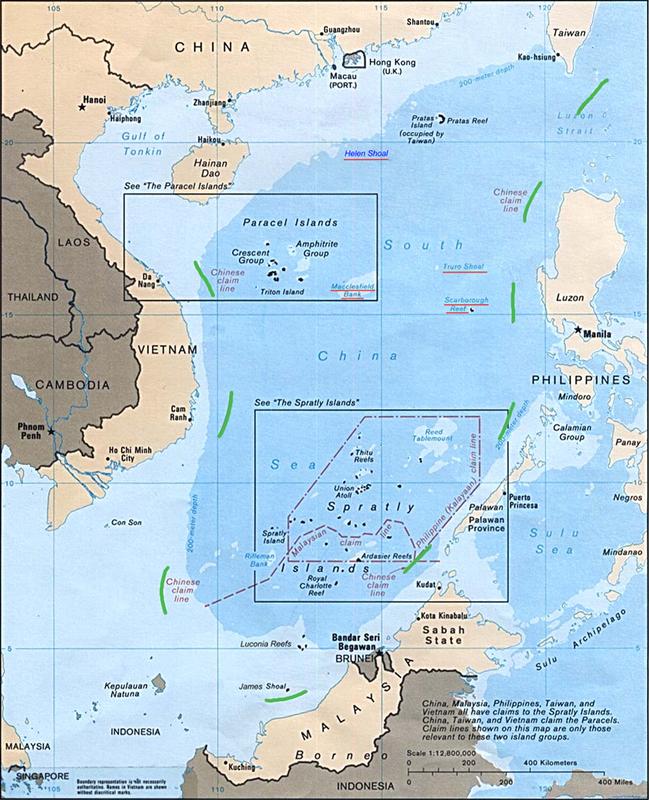 Though the U.S. officially denies that it is competing with China for influence in the region, the three above-mentioned nations have become more amenable to a U.S. presence as their territorial and seabed disputes with China in the South and East China Seas have intensified (the South and East China Seas are critical throughways for global trade, as well as rich in mineral and food resources, and the U.S. is keen to maintain freedom of action there for itself and its allies – a reality China has periodically challenged). The U.S. also wishes to be in a better position to conduct disaster-relief operations, particularly in light of the Asia-Pacific region’s recent devastating natural disasters (see, for example, devastating floods in Thailand and Pakistan, and record-setting droughts in Vietnam). Also, and this is related to its concern for natural disasters in the area, the U.S. is looking for more efficient ways to conduct regional climate change research. As stated in the same Washington Post article, NASA has been advancing a project to “operate climate-change surveillance flights from U-Tapao [Thailand] this fall,” though the project has been held up by lawmakers in the country. We want to be out there partnered with nations and have a rotational presence that would allow us to build up common capabilities for common interests. But more needs to be done. As we have suggested previously, in order to allay fears, build trust, foster cooperation, broaden and strengthen alliances and partnerships in the region, and non-threateningly compete with China, the U.S. will need to make significant investments in building the resilience of Asia-Pacific nations, particularly to the effects of natural disasters, water insecurity and climate change. Such investments in climate adaptation programs and improved infrastructure would complement U.S. disaster-relief efforts, serve core national security interests of the United States, and tangibly and immediately benefit vulnerable nations in the region. By Francesco Femia & Caitlin Werrell in climate and security on June 25, 2012 .